Happy Clients! My number #1 goal is to make your home buying or home selling experience amazing and one that you will never forget. Here is what my clients have to say about working with me. Also, please check out our GOOGLE Reviews here! "Working with Lena has been an absolute pleasure! She sold our home quickly and found us our new one just as fast. It has been over a year since we purchased and she is still available to help! Lena wanted and did what was best for us. She went above and beyond to make the process an enjoyable one. Lena is a first-class real estate agent and we look forward to working with her again." honestly couldn't think of anything that you could have done better. We are happy to recommend you to anyone and wouldn't hesitate to work with you again. "It was for us a great experience to have Lena as our realtor. We started a long journey to have our dream home for the three of us. We wanted a place in very good neighborhood, easy commute to our work and our daughter's Day Care. Once we started to work with Lena, she provided us with a very good list of choices in the neighborhoods that we wanted and according to our budget. She always tried to meet our expectations. Lena made the process stress free and at the end we found our dream home! More than everything we not only got an excellent realtor but also a very good friend." "Lena helped us to find the best home within our price range. We were in a big rush to find a new home in the Southwest of Edmonton for an internal job opportunity. Lena helped us to narrow down the search, provided the sale history of the homes in the area and took our stress away from the price negotiations. We love our new home. Lena is now a friend of our family!" "Lena was really helpful and made this experience of first time home buying so wonderful. She is a fabulous Realtor, thanks Lena!!" "Lena is a true people person who learns exactly who her client is which I sensed right away, and that was the important factor for me. It was definitely an adventure trudging through the very worst weather conditions but Lena stuck with me. I really appreciate that she was able to present me with many different options and took the time to narrow it down to the home best for me. Her patience and advice made all the difference I would recommend her in an instant. Keep up the great work Lena!!!" "As we are extremely picky, we appreciated Lena's patience, as she stuck with us and got us a great price on exactly what we were looking for. Lena is an observant, "out of the box" thinker who actually found us a revenue property, while we made up our minds on our own house purchase. Thanks Lena, we love our new home!" Our condo had been listed with another local realtor for a year. There was a long line of issues with that realtor so we feel extremely grateful to have met Lena. She was honest, represented our best interests and she had our condo go pending in six days and helped us find a new home! 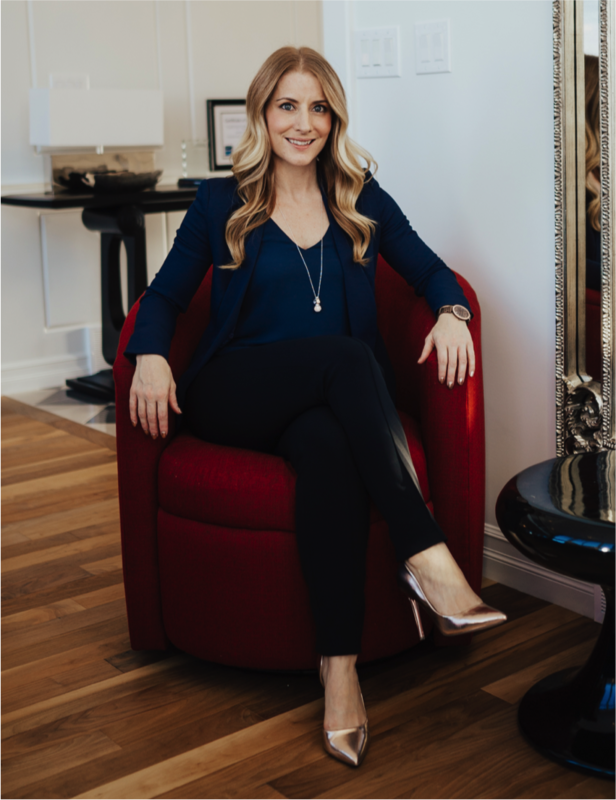 She took the time to really take care of us and is well connected to other professionals (home inspector, lawyer, and mortgage broker) to further serve her clients. After our process was completed she went above and beyond and continued to help us with our new home! We have developed a great relationship with her and have referred numerous people and will continue to do so. "As a first time buyer, dealing with Kaelyn & Lena was a breeze. It took just under a month to find the exact home I wanted and close the deal. I was shown over a dozen comparable homes and feel confident that I didn't over pay. Thanks Kaelyn and the Lena Mills Team!" "Outstanding work Lena! She did an amazing job listening to what I needed and found exactly what I was looking for. I trusted her expert advice and we were able to win a multiple offer and she still got me a smoking deal on the house! We will be recommending Lena's Team to all of our friends and famiy!" "Lena is patient, understanding and takes the time to build a relationship with you so she can understand how you live. She could tell when a home wasn't a fit before we did. She gave 100% to making the process as pleasurable as can be and looked out for our best interests." "Lena helped my husband and I purchase our first home. We couldn't decide on what neighborhood we wanted. She took our wish list, narrowed down our search and found us our ideal home in our budget in a fantastic community. She is a firecracker at negotiation and was there every step of the way!" Lena and her team helped me purchase my home a few years ago, and recently helped me sell in record time! I couldn't have asked for a better, or more efficient selling experience. My home was marketed beautifully, and Lena was great at communicating all aspects of the process with me, especially given my hectic schedule. Thanks Lena and team! Highly recommended. As a first time home buyer with a fairly involved family, I really wasn't sure what to expect in a realtor. It turns out the person we had been looking for was Kaelyn of the Lena Mills Team. She patiently visited place after place, answers all of our questions (and there were a lot) and quickly tracking down answers if she didn't happen to have them. Her suggestions and recommendations for things like home inspectors and lawyers made first time home buying much less stressful than it could have been. Beyond doing everything in her power to put us at ease, Kaelyn's positive attitude never failed to brighten our day and keep us moving, and that's not always easy when shopping with your family. I would definitely recommend giving this wonderful team a try if you're looking for a realtor. You won't regret it. This was my first experience with selling my current home and purchasing a new one. I can't say enough about how great Lena, Kaelyn and the rest of the team are. From start to finish, they made sure my house was well displayed and their great advice helped me seal the deal. Although I'm happy that I don't need to keep the house 100% spotless anymore. On the buying side, my family and I never felt like there was any pressure to get in and out. We took our time and in the end I think we got what we really wanted. Thanks everyone for helping us out! I recently worked with Lena and Kaelyn to sell my house and buy a condo. I can’t recommend them and their team highly enough; they were always quick to respond when I needed information and went above and beyond time after time. My house was beautifully videotaped and photographed and sold immediately, and I couldn’t be happier with my new home. They’re excellent realtors and really great people. Lena was such a pleasure to deal with and made selling my home a breeze. Her knowledge and professionalism continuously exceeded my expectations throughout the process. I will be using her again in the future.